In a series pitting two of the nation's top 25 teams against one another, Western Michigan toppled Ferris State on consecutive nights to secure third place in the CCHA standings. 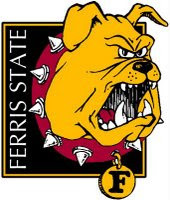 Action picked-up in Friday's contest late in the first period, when senior forward Mike Leone finished off a pass from Ben Warda and Dan DeKeyser to beat Bulldogs' goaltender C.J. Motte with less than six minutes remaining. The lead wouldn't last long however, as junior forward Garrett Thompson countered at the 17:01 mark for his fifth goal of the season. Earning helpers on that play were sophomores T.J. Schlueter and Jason Binkley. In the ensuing frame, all three goals scores would come via the power play, beginning with the Broncos' Dane Walters just past the midway point. Though Ferris State evened-up the score on a Travis Ouellette lamp-lighter minutes later, Walters would restore Western's lead with the game-winning tally with 1:57 to go in the period. Freshman defenseman Kenny Morrison added an insurance goal 57 seconds into the third to secure a Western victory in the opener. The tandem of juniors Chase Balisy and Shane Berschbach each tallied two assists apiece for the Broncos. Motte stopped 28 shots, including 12 in the second period alone. At the other end of the ice, sophomore netminder Frank Slowbowski finished with 13 stops. Like its previous contest, the series finale on Saturday also had a delay in the scoring department, with netiher team able to light the lamp in the first 20 minutes. The Bulldogs struck first at 8:21 in the middle stanza on a breakaway goal from Thompson, who had just exited the penalty box. Making the tape-to-tape pass was junior forward Justin DeMartino. Western's effective power play would come into effect once again, as Balisy and Leone each chipped in a goal late in the third to complete the sweep. Motte accumulated 35 saves to Slubowski's 26. Western Michigan (10-3-1 overall,7-2-1-1 CCHA) heads to Ann Arbor this Friday and Saturday night for a series against the University of Michigan, who was idle over the weekend. Ferris State (7-6-3 overall, 6-4-1-0 CCHA) hits the road for a one-off against Michigan State on Saturday, with puck-drop scheduled for 5:05 pm.